Let our gas, electric, induction, and modular repair technicians set your mind at ease by repairing your cooktop and range fast and efficiently. We are strictly a residential repair company. No need to draw out long, time intensive, laborious repairs. Techs will call 30 minutes before arriving punctually. Our vans are loaded with the most common cooktop and range parts so we can get the job done correctly and the first time out. Our customers are treated with the care and utmost respect. 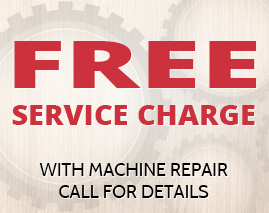 Call us at (847) 459-8070 to speak to a live operator, or schedule an appointment online 24/7. 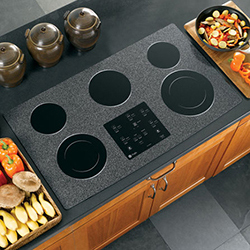 Schedule Service for Your Cooktop or Range Today! Area Appliance Service is here to stay, with over 50 years of excellence. All repairs come standard with a Satisfaction Guarantee on Labor and Appliance Parts for up to 12 months. If somehow an occurrence presents itself, feel free to call us back and we will gladly take a look at it and correct the situation. Your satisfaction is our guarantee! Family operated, owned, licensed, insured and bonded.